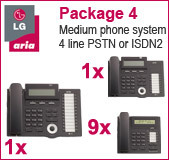 Our refurbished medium business telephone systems are the perfect solution for business looking to upgrade or expand their current phone systems. Our medium business solutions are ideal for up to 16 handsets. Buy online with confidence! All our Refurbished Medium Telephone Systems are PROFESSIONALLY tested, repaired and cleaned with NEW handset cords and line cords. 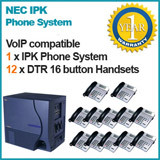 They look almost new and ready to be installed in your business office phone system. Our technicians fully inspect every refurbished handset so we can guarantee our 1-YEAR WARRANTY commitment. 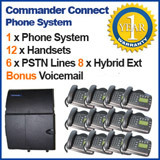 Call or Enquire online about Refurbished Medium Business Telephone System, Used Medium Business Phone System or Pre-Owned Medium Telephone System.